Saudi authorities have not announced the arrest of Sheikh Saleh al-Taleb in the same manner as dozens of detainees. Today Sheikh Saleh Al-Talib’s arrest by Saudis swept almost all social media. 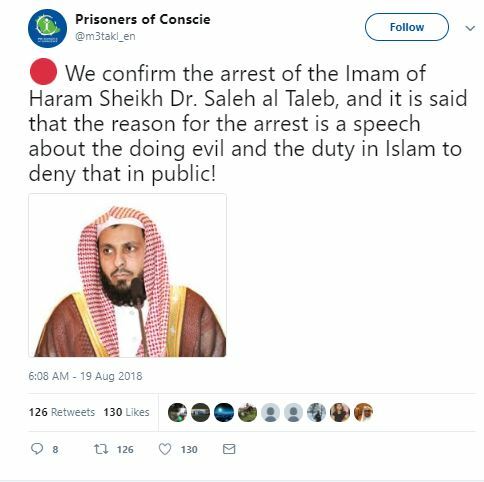 “Prisoners of Conscie” twitter account announced that Saudi authorities ordered to arrest Sheikh Saleh Al-Talib the Imam and preacher of the Grand Mosque of Mecca for his sermon speech he yesterday delivered in the Grand Mosque of Mecca on those he described as oppressors. The arrest is confirmed by other accounts and it is said that the reason for the arrest is a speech about the doing evil and the duty in Islam to deny that in public. 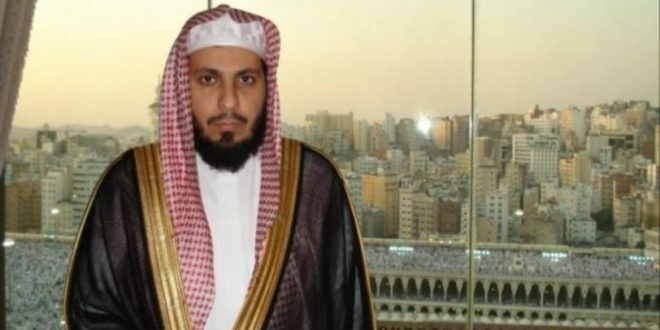 Sheikh Saleh Al-Talib is among others scholar and activists detained by Saudi authorities since September 2017 and Riyadh authorities going to hold secret trials in the coming days to eight of the most prominent detainees. The ongoing crackdown on advocates, thinkers and activists has drawn international criticism of Saudi Arabia and sparked a diplomatic crisis between Saudi Arabia and Canada. In May, the United States criticized the Riyadh crackdown and said it was “closely” following the arrests Amnesty International.